This well-appointed, self-contained residence offers luxury accommodation in Marysville. Boasting a large open plan living area, an enormous gourmet kitchen and dining area, plus a 4K LED TV entertainment lounge, complete with reclining leather chairs. Double sliding doors open to the outside entertaining and BBQ area, which overlooks the magnificent surrounding mountain ranges. There is a King Master Bedroom with ensuite and three bedrooms with a Queen Bed. All bedrooms have split system air-condition cooling / heating along with panel heaters. Full linen and toiletries inclusive. 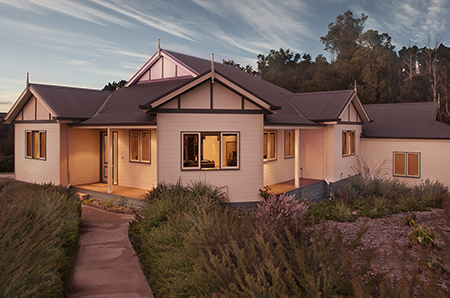 With room for 8 guests, bring your friends and family to Lithgow Falls, the perfect place to unwind.